Zygia cognata (Schltdl.) Britton & Rose (Leguminosae), known in Mexico, Guatemala and Belize. In the Mexican portion of the Yucatan Peninsula there are three species of Zygia. 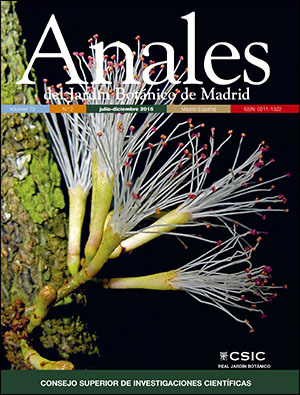 José Enrique López-Contreras, Maria de Lourdes Rico-Arce, Lilia Lorena Can-Itza & Rodrigo Duno de Stefano in the present issue of AJBM, discusses morphological differences and nomenclature of the three species. (Photograph: Germán Fernández- Concha).